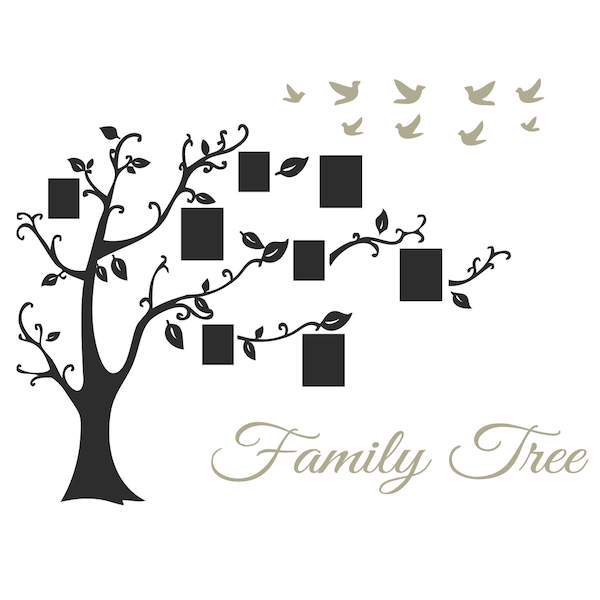 All sizes below are measured for the whole tree assembled as shown in the first product image, including "Family Tree" text. All trees include (4) 5"x7" & (4) 6"x8" standard sized background frames. Exact width of the tree depends on how it is assembled by you. Assembly required. 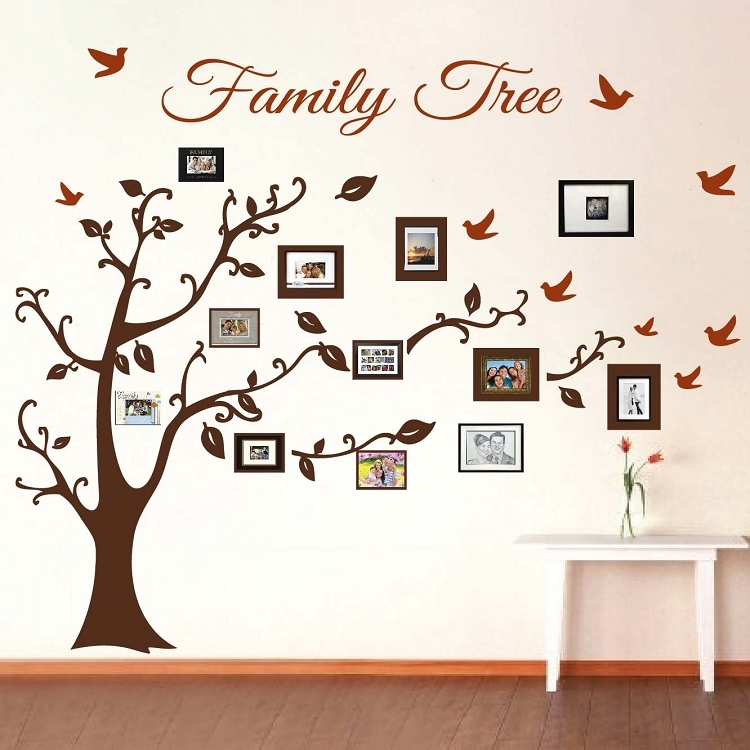 This Family Tree Wall Decor is one of a kind, it can be customized with your own pictures. Use the backgrounds to create the frame look. Please note that you may rotate the background frames horizontally or vertically. Simply peel and stick the background frames. 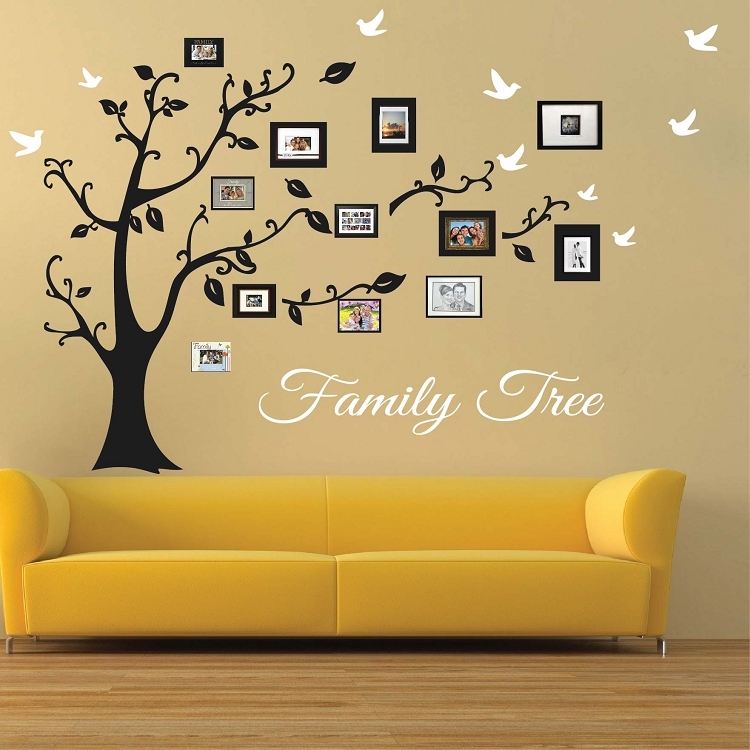 Stick them anywhere on and around the tree. 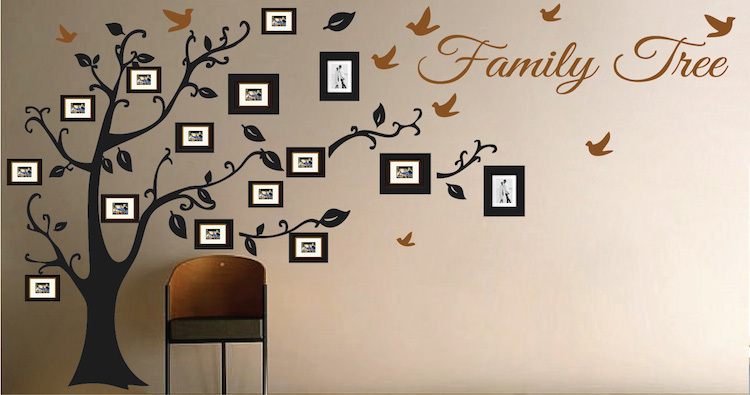 Directly apply your pictures with double sided tape on the frame backgrounds provided or use your own frames anywhere on the tree. For best results mix and match both your own frames and the background frames provided. Actual frames not included! This was so much fun to apply and it looks amazing. I bought this in black for the tree and cranberry for the birds/family tree. It really pops and totally transformed my living room! It's first thing that everyone notices when they walk in. I got a lot of compliments so far. I'm 110% satisfied with this tree and totally recommend it. Great quality, fun to install. Everyone loves it. Thanks. Recently purchased this item and couldn't be more pleased! I was intimidated by it at first but it was super simple to put on the wall. The vinyl is very high quality and the instructions are complete. I love it and have already had many compliments.